Namaste means Indian and Nepalese respectful greetings. 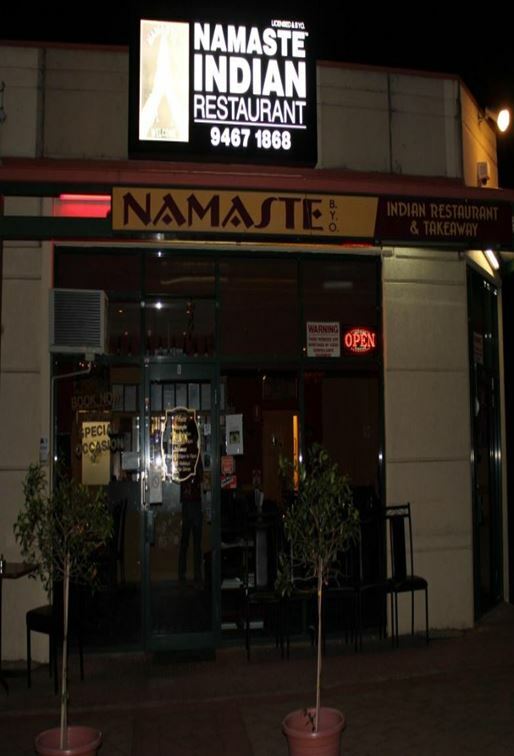 Namaste Indian Restaurant is established in 2001. The Restaurant is situated about 20km north of Melbourne CBD in Bundoora. The main goal of the management has been creation of a simple menu that incorporates North Indian delicious Curries, mouth watering Tandoori cooked and roasted kebabs to tandoori baked breads and some Nepalese Himalsyan delicasies. we aim to cater for all ages and people in the society. You are respectfully invited to be our guest, come in, sit down, spend time with us! If you have any dietary restrictions or allergies please let us know. We use ghee and vegetable oil, no animal fats. We use almonds, walnuts, raisins cashew nut and pistachios, but no peanuts. The restaurant is upgraded to 50 seats (in 2004) in dining capacity from 25 seats. The restaurant had a another major renovation in 2015 and Alfresco dinning area is set up. The premises is fully licensed and B.Y.O.(Wine). The restaurant is twice( 2002 & 2003) nominated for the best Indian restaurant in City Of Whittlesea Awards in the category of restaurant and Cafes. 2008 State Finalist for “I LOVE FOOD” awards. We have been highly rated in Urban Spoon/ Zomato, Trip advisor and Dimmi , Word of Mouth and other food websites. The place is renowned for its best Indian & Himalayan cuisine. Our sincere thanks to those who have chosen us to be their favorite restaurant since 2001 till the date and without your business, we would not have traveled this far. We are committed to serve more interesting and exquisite food dishes in many years to come. Please ask or check special menu board on display before Restaurant entrance.